This Cartridge heater has high temperature leads swaged in stainless steel braid. The leads exit straight out the end. The steel braid welded and swaged into place to insure it does not pull out. The steel braid provides excellent abrasion protection and flexibility. 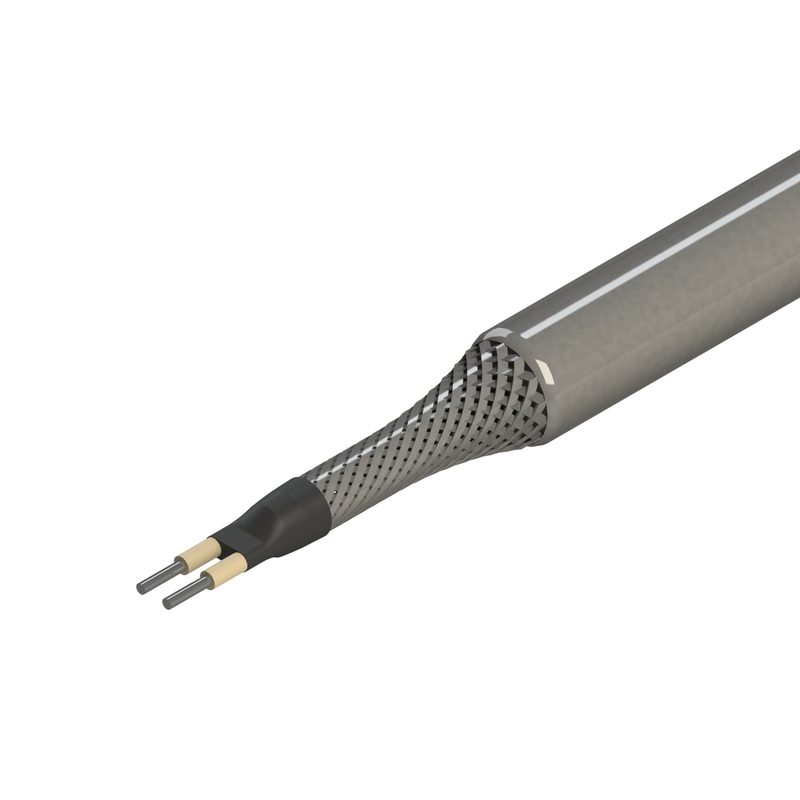 This cartridge heater is available on all diameters.